Whether it’s with served with crackers, chips or a crudite platter, dip is easy and a crowd-pleaser. This one is inspired by *again* Simon Hopkinson’s Piedmontese peppers. You roast the peppers in the oven, blitz them in the blender, then whisk the red pepper puree with softened cream cheese. Season, and that’s it! I used one large bell pepper for this, so the measurements are not exact- you may need to add more cream cheese to reach the right consistency. Wash your red pepper, remove the stalk and seeds and cut it into quarters/large chunks. Place your red peppers and large clove of garlic in a baking dish, season with flaky sea salt and black pepper, and drizzle with olive oil till evenly coated. Bake at 190 C for 40 minutes until the peppers are tender and fragrant. Once cooled, transfer the pepper chunks and garlic, along with the pan juices, to a blender. Blend to make a smooth puree. Transfer the puree to a bowl, add softened cream cheese and whisk till smooth. If you’d like a thicker dip, add more cream cheese. Add more salt and pepper to taste and top with chilli flakes if you want to. DITTO ON WHAT ANNIE ORANGE WROTE….. THE RECIPE LOOKS VERY CLASSY……….. CAN’T WAIT TO TRY IT OUT TO GO WITH A NICE GLASS OF CABERNET ……. Oh wow that looks so so classy! 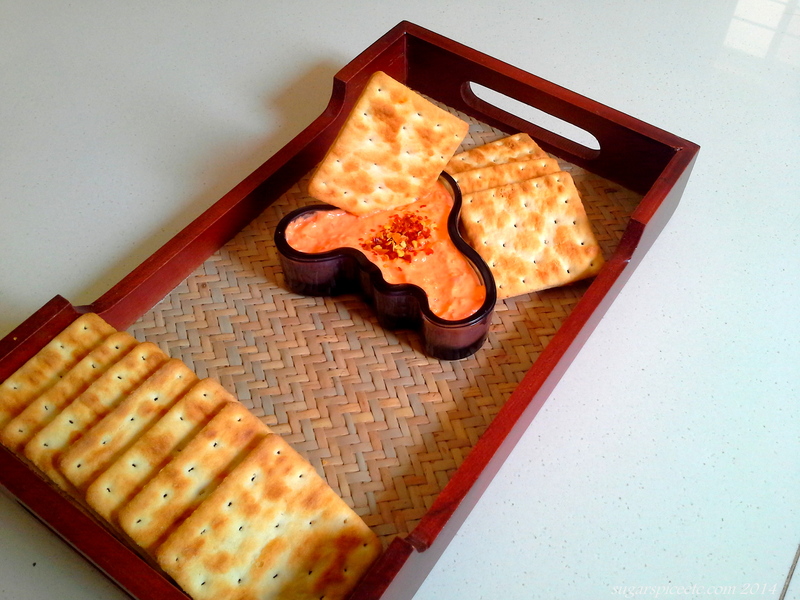 I sometimes make a red pepper hummus, but definitely trying this one too!